Cé a chreidfeadh é? Táimíd beo agus tá rudaí suimiúla ag titim amach timpeall orainn. Ar maidin inniu, foilsíodh alt ó pheann Gerry Adams, Uachtarán Shinn Féin agus polaiteoir atá cáinte agam go minic anseo, ag tabhairt léargas níos soiléire is níos tuisceanaí ar dhearcadh Ghluaiseacht na Poblachta i leith cuairt Bhanríon Shasana ar an gcuid seo den tír an tseachtain seo chugainn. The Good Friday Agreement is the foundation upon which new relationships between unionists and nationalists and between Ireland and Britain can be forged. It has fundamentally altered the political landscape, levelled the political playing field, removing the despicable Government of Ireland Act and opening up a peaceful, democratic route to a united Ireland. And because nationalists and unionists are governing the North, decisions affecting the lives of people there are increasingly being made in Ireland and not in Britain. Republicans want to continue and to accelerate this process. The united Ireland that republicans seek to build encompasses all the people of this island, including unionists. It will be a pluralist, egalitarian society in which citizens’ rights are protected and in which everyone will be treated equally. Sinn Féin wants a new republic. That of course, is a matter for the people of this island to decide. But no matter how we shape our society, the new Ireland must embrace our island’s diversity in its fullest sense. This includes English and Scottish influences, the sense of Britishness felt by many unionists, as well as indigenous and traditional Irish culture and the cultures of people who have come to Ireland in recent times. Ireland and England are not strangers to each other. We should build on what we have in common while at the same time respecting each other’s sovereignty and independence. I want to see a real and meaningfully new and better relationship between the peoples of Ireland and Britain, one built on equality and mutual respect. Republicans have been to the forefront in working to bring this about and we will continue to do so. The visit by the Queen of England provides a unique opportunity for the British establishment to make it clear that this is its intention also. If this is the case it will be a matter of considerable pleasure, not just for her majesty but for the rest of us as well. Níl focal sa mhéid sin nach n-aontaím leis. Níl sé i gceist agam a bheith i lathair nó ag faire ar an dteilifís ar an gcuairt seo an tseachtain seo chugainn mar go mbeidh mé ró ghnóthach. Ar an láimh eile, ní bheidh mé ag freastal ar aon agóid ina choinne ach an oiread, ar an údar chéanna. Shíl mé go raibh an dearcadh a bhí á nochtadh ag SFéinithe ar an idirlíon, ar Facebook is a leithéid, mí-aibí agus mícheart. Anuas ar sin bhí siad ag léiriú chomh dúr agus ‘off message’ a bhí na poblachtóírí céanna. Má tá SF i Rialtas leis an DUP ó thuaidh, cad is fiú dóibh bheith ag maslú na Banríona agus an chóras monarcachta nuair atá’s acu go bhfuil dúil mhór ag a gcomhpháirtithe sa Rialtas ina léithéid. Fiú má bhionn na DUPaigh ag maslú na Gaeilge agus pobal na Gaeilge mar a bhionn, ní h-aon chúis é sin dul síos sa chlabar leo. Táim ag gabhail den phort seo le tamall agus níl a fhios agam an admhóidh Gerry Adams gur ‘athrú poirt’ atá déanta aige agus más amhlaidh gurb é, go raibh sé ag tabhairt cluas don mhéid a bhí le rá agamsa. Gach seans gur tháinig sé ar an dtuiscint é féin, pé rud eile a dhéarfaidh mé faoi, ní cheapaim go bhfuil sé dúr is gan tuiscint, murab ionann agus cuid dá leantóirí. I bhfianaise an méid a dúirt ceannaire an UUP an tseachtain seo chaite, tá ráiteas Gerry Adams ar maidin inniu tar éis an talamh ard mhorálta a bhaint amach arís do féin agus dá pháirtí. Beidh le feiscint an ndéanfaidh Sinn Féin beart de réir briathar Gerry Adams agus, mar sin, go gcoinneoidh siad an talamh ard seo ar feadh seal eile. Má tá focal ‘diultach’ amháin le rá agam, is é seo é. Tá sé deacair a shamhlú go ndéarfaidh Banríon Shasana rud ar bith faoin ról a bhí ag a forsaí armtha in eachtraí ar nós Buamáil Bhaile Atha Cliath agus Mhúineacháin agus eisean ina thost faoi a ról san IRA agus in eachtraí fuilteacha ar nós Aoine na Fola, marú Jean McConville is eile. Mar sin féin, ós rud é go bhfuil an Banríon ag tabhairt cuairte ar Ghairdín an Chuimhneacháin agus ar Pháirc an Chrócaigh, gach seans go mbeidh rud éigean le rá aici. Tá macallaí na staire chomh tréan sa dhá shuíomh sin gur deacair iad a shéanadh. Sa scánnán thíos, tá sé faoi agallamh ag tuairisceoirí faoin alt seo agus na tuairimí a nochtar ann. 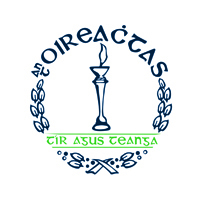 Tabhair faoi ndeara gur seirbhís iomlán Bhéarla atá in Irish Republican TV! Foilsiú: 14/05/2011 . igaeilge a d’fhoilsigh. Ranganna: An Ghaeilge, Cúrsaí Reatha, Cultúr. Clibeanna: Banríon Shasana, Eilís II, Gerry Adams, Sinn Féin.